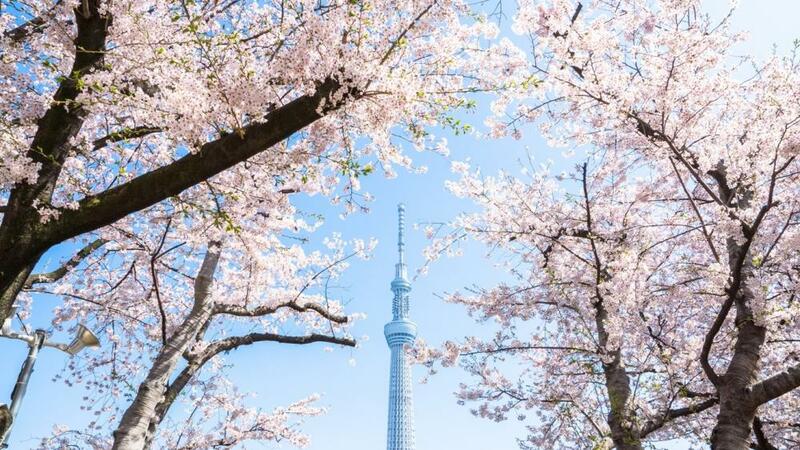 Yes, cherry blossom viewing can take place under blossoming trees with everyone forming a big circle, but that’s not really a “chic” Japanese style. Getting completely drunk under a tree and humiliate yourself with stupid acts is so tasteless. Cherry blossom is something you enjoy while you take a little walk, and then you go off to a nice place to have a drink is the way to go, very Japanese and chic style. Here blow are nice cherry blossom viewing spots in Tokyo and great drinking places around those spots. Ueno Onshi Park is one of the most famous cherry blossom spots in Tokyo. There you can enjoy about 800 cherry trees of different kinds, Somei-yoshino, mountain cherry or Kanhi-zakura (Taiwan cherry). During mid Mar.-mid Apr., cherry trees in the park will be illuminated from 5:30pm onwards and that is making the park a great spot to have a night cherry blossom viewing. After visiting such a park, one of the izakayas (casual drinking dining) I would recommend around there is “Seafood MASAYA”. They don’t just serve fresh seafood and seafood hot pot, but also a great variety of Japanese sake of over 100 different kinds. It’s a great place to have very Japanese drinking spree. If you walk to Okachimachi side, you can find the reasonable Izakaya “KINGYO”. You pay 1000 yen and they will serve you three small dishes with a drink. It’s a great place if you just want to drink lightly. Asukayama Park in Oji, Kita-ku has been a popular cherry blossom spot for over 250 years. 70,000 m2 area holds 650 cherry trees and they are illuminated at night from end of Mar. to early Apr. so you can also enjoy them at night. 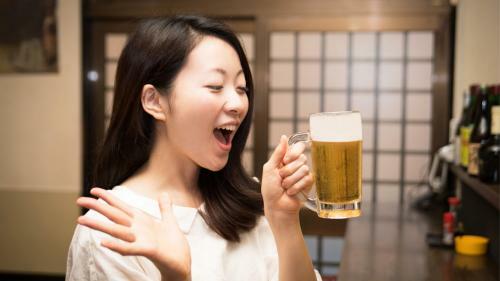 After seeing gorgeous cherry blossom, how about walking to Oji station area and have a taste of the rare fresh “HOPPY”, a unique alcohol drink make of Shochu and beer at HOSEN? There is another shockingly reasonable restaurant called YAMADAYA where you can buy most of about 70 items on their menu for less than 300 yen. The cherry tree colonnade which stretches out for 2km from Yotsuya station to Ichigaya/Iidabashi/Kagurazaka area is another famous cherry blossom spot in Tokyo. More than 200 cherry trees of Somei-yoshino and mountain cherry kinds fill the area and as the boardwalk for pedestrians are a step above the car road, you can enjoy the scenery relaxed and safely. A little walk off from the street and you see the attractive restaurant SHUKI with 100 kinds of Shochu and 30 varieties of plum brandy, one of the largest variety a restaurant holds in Tokyo. If you want somewhere different and unique, “UOKUSHI SAKURASAKU” is the place to go. It’s the first of the kind, fish skew grill restaurant where fresh seafood is grilled like Yakitori and served.